High sewing speed cuts down time on garments tailoring. 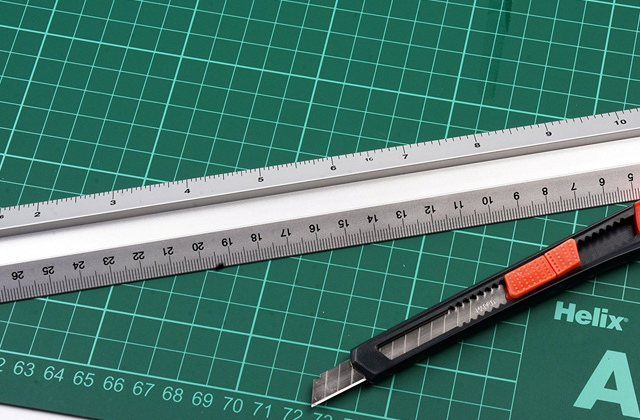 An internal heavy duty metal frame reduces vibration during sewing. A large metal bed allows you to sew heavy and dense fabrics. The adjustments and operation are quite intricate so following instructions is advisable. The best fit for a professional sewer who requires a heavy-duty sewing machine for regular use. High-efficiency operation along with a variety of commercial available additional accessories makes this model the best sewing machine. 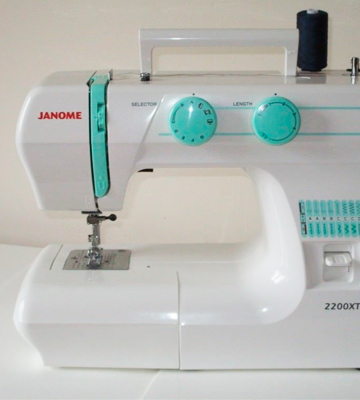 Janome's 2200XT sewing machine comes including a complete set of feet, needles, a couple screws as well as some other additional tools required for comfortable sewing experience. The wheel is a little stiff. 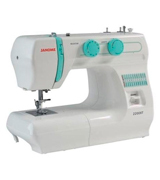 This electromechanical sewing machine from Janome, which features 22 stitch selection and provides the option to thread the needle in a semi-automatic way, is well suited both for beginners looking for a portable and easy-to-use machine and for more experienced users in need of a nice backup sewing machine. This versatile sewing machine stands apart from the competition as it comes with the biggest set of accessories and additional features. Lack of adjustable presser foot pressure has been issued by a few users. The top rated sewing machine. 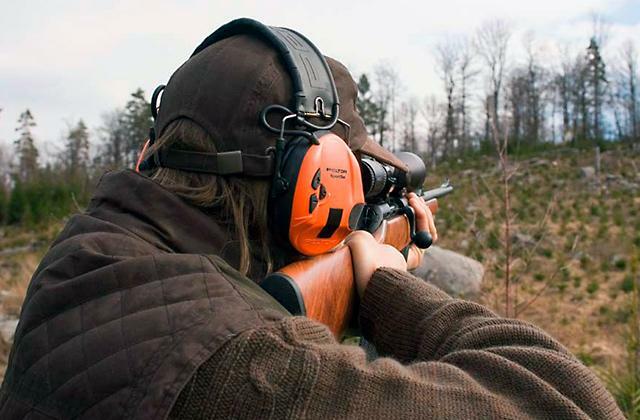 Intuitive controls make it easy-to-operate, even a beginner is able to use it. Suitable for both home usage and semi-professional purposes. Comes already pre-threaded so you can start sewing straight after unpacking the device. 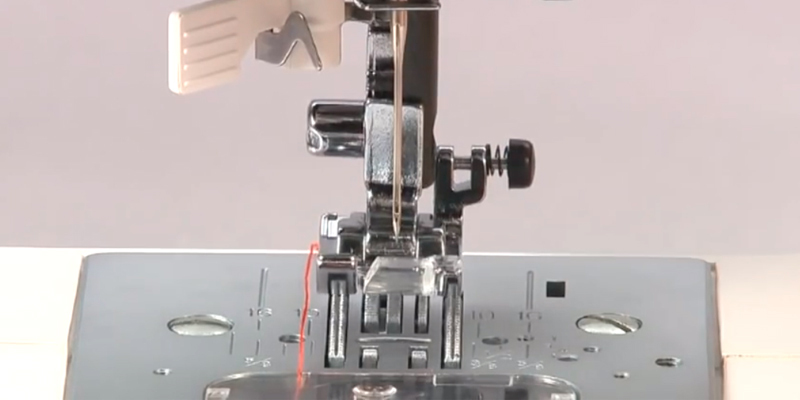 This machine offers limited sewing capabilities with 1 straight stitch. 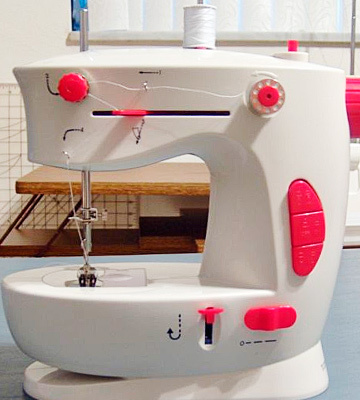 This sewing machine is the cheapest model in our review. An ordinary and efficient unit for mending jobs that don't require plenty of functions. 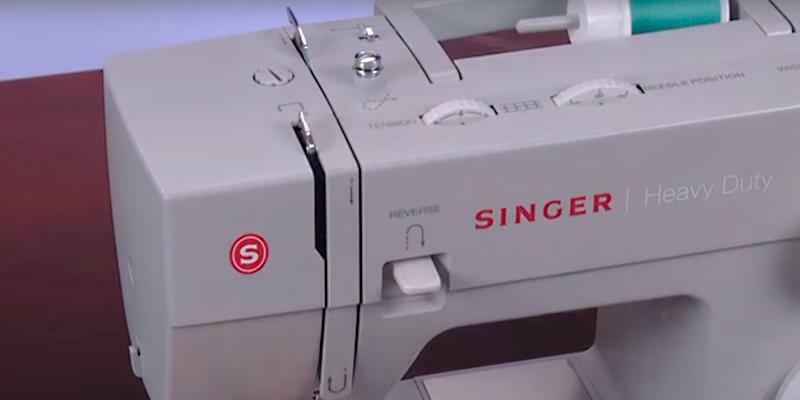 If you're looking for an inexpensive, heavy-duty sewing machine, then Singer is just what you need. 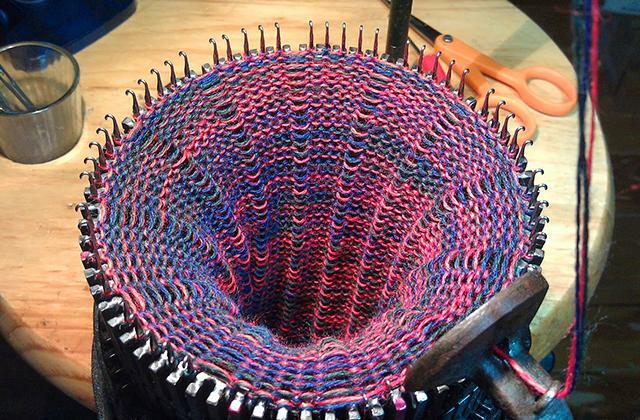 Thanks to a powerful motor, this model works at a speed of up to 1100 stitches per minute. 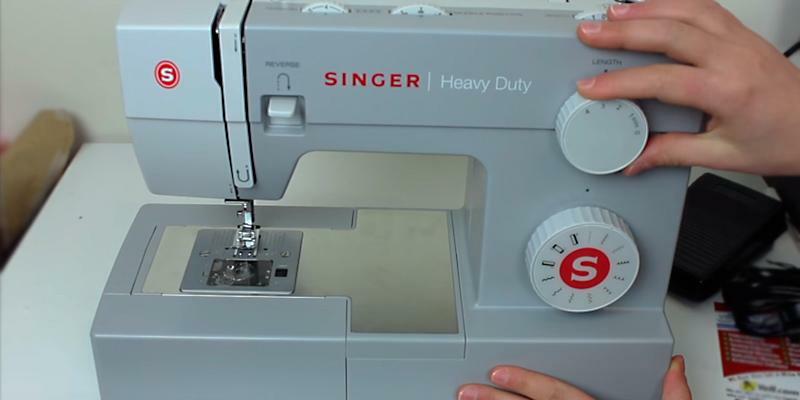 So, SINGER is a way more powerful sewing machine in comparison with other models in our review. SINGER offers 23 built-in stitch patterns: essential, stretch and decorative. This model also features an automatic 1-step operation buttonhole creation. It is obvious that garments tailored on this machine will be of high quality. A horizontal shuttle and a heavy duty metal frame ensure almost whisper-quiet operation. 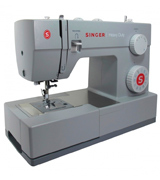 SINGER 4423 sewing machine has a clear view cover and a top load drop-in bobbin system. Thus, it is easy to insert a bobbin in a shuttle and keep track of thread supply. You can be sure that this sewing machine will last for years. 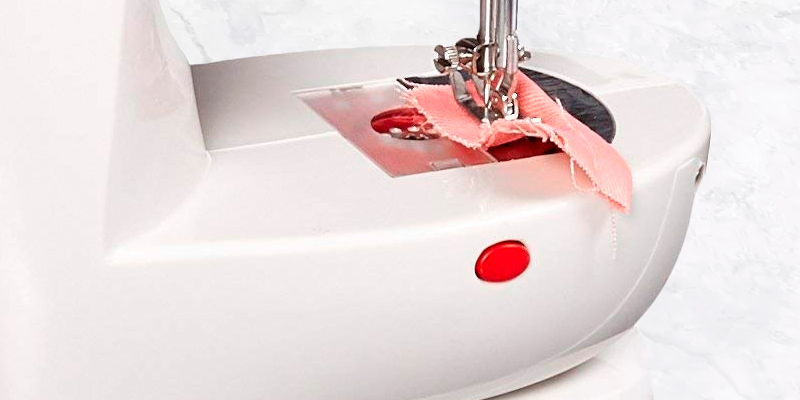 It's got a powerful motor, stainless steel components and parts and heavy duty metal construction for extended use and durability - all you may need to sew quickly, professionally and enthusiastically. SINGER 4423 is a universal, heavy duty sewing machine for professional users who’d like to sew through various types of fabric and tailor high-quality clothes. From casual dresses to shoulder bags, it will do a nice piece of work and ensure excellent results. 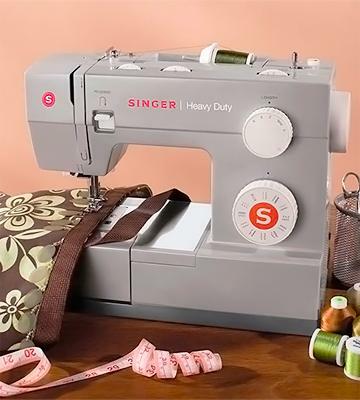 SINGER 4423 comes with a rich set of accessories and presser foot attachments for sewing on most types of fabric regardless of their thickness and quality. 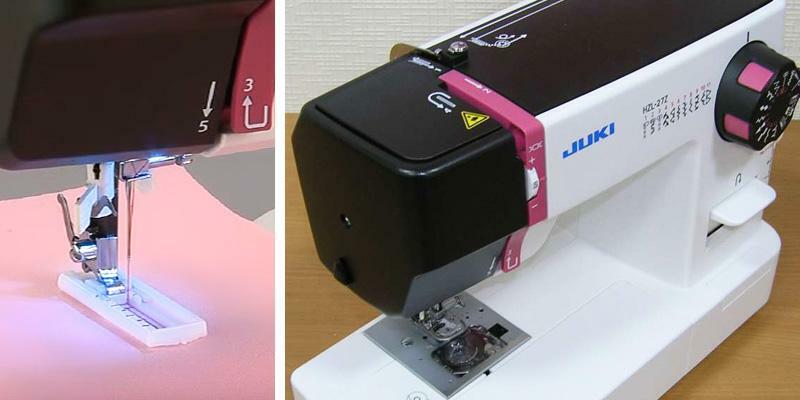 It’s a great device to use for finishing edges, trimming and decorating clothes with elaborate stitches. All this makes it one of the leading sewing machines on the market, and not without reason. If you're looking for a professional unit to do hand-tailoring, mending and sewing clothes, there's hardly a better choice. 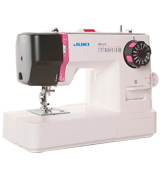 The Janome 2200XT is one of the most inexpensive models from the said company. That said, the machine actually has quite a lot going for it, with the biggest advantage being its simplicity. 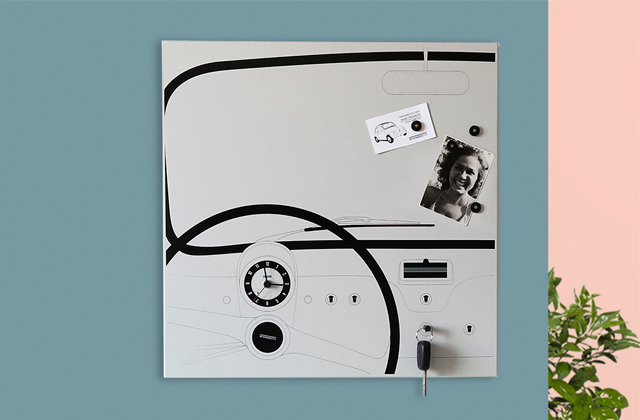 Instead of a complicated LCD screen, the model presents you with a couple of dials. 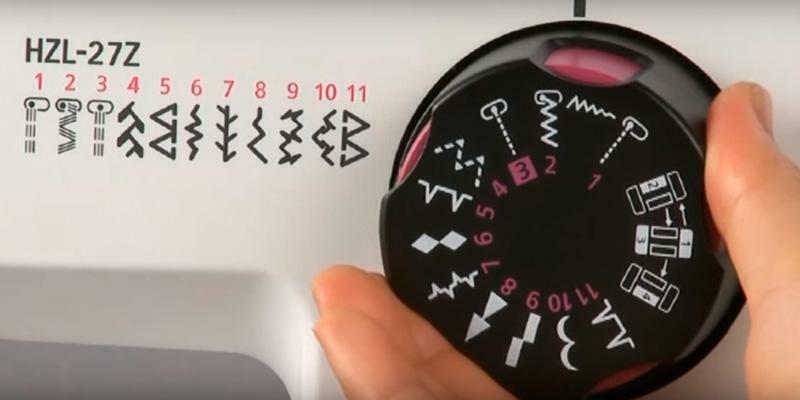 The first dial will allow you to choose one of the 22 sewing stitches. While the second provides the ability to adjust the length of the stitch, all the way up to 5 mm. 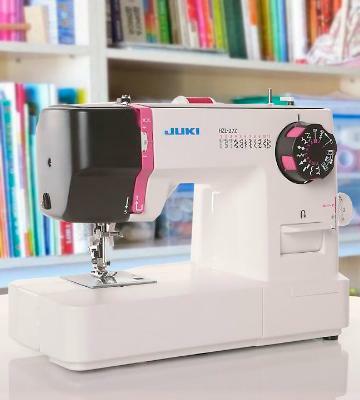 Despite the fact that this is easily one of the most affordable Janome sewing machines out there, it does not trail behind when it comes to sewing speed. With the ability to deliver 750 stitches per minute, the model will allow you to put together a piece of clothing in no time at all. 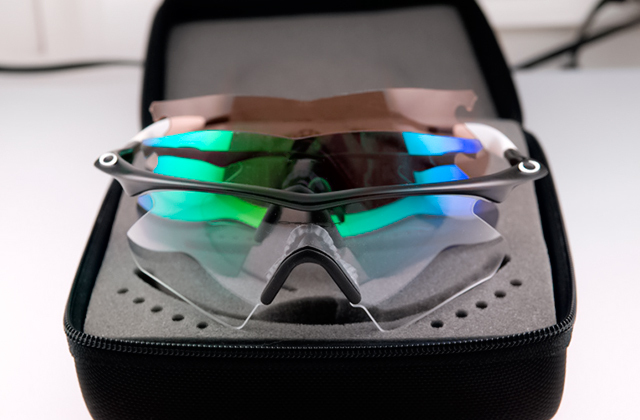 Of course, it isn't a perfect product and it does include a drawback or two. For instance, the fact that the needle threader is semi-automatic means that you will have to put in a bit of effort to help the machine thread the needle. That said, it is still far easier and definitely more convenient than doing so entirely on your own. As per usual, there's the freearm feature that offers the circular sewing option. 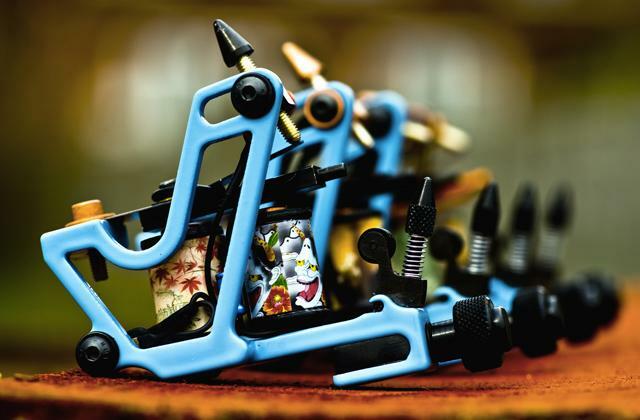 The drop feed that is used for freehand embroidery is present as well. Finally, the manufacturers also didn't forget about including a respectable number of accessory feet, so you won't be limited in terms of your sewing options. All in all, the Janome 2200XT Sewing Machine is a great budget option that offers more than enough versatility for your average customer. With this model at your disposal, you should be able to put just about any sewing plan in motion and make sure that it comes to fruition. 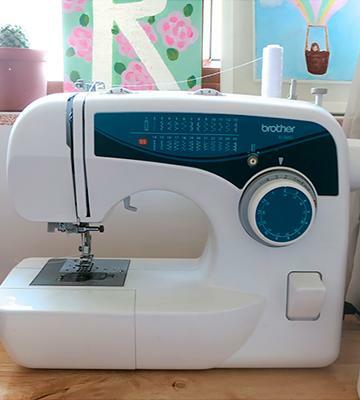 Brother is the best sewing machine in our review as it is ideally-suited for both a novice and a pro. This versatile model offers 25 quilting, decorative and heirloom stitch patterns that allow you to tailor any garment you want using delicate and non-dense fabric. For your convenience, the machine comes with a dial that you can set to the desired stitch. The sewing speed is about 800 stitches per minute, which is surely enough for sewing various clothes and sewing them fast. 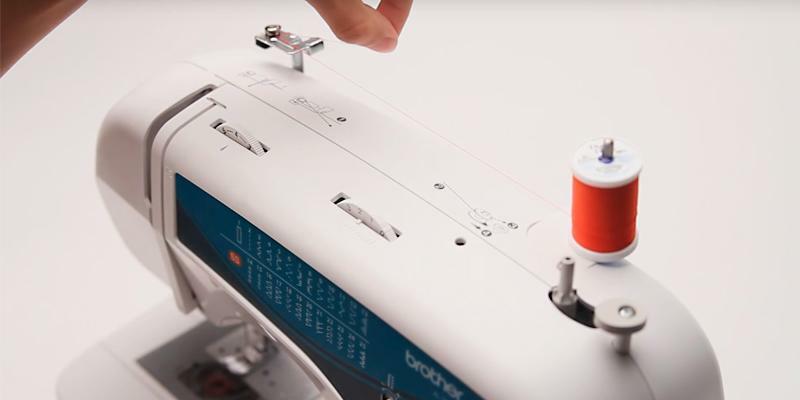 Brother sewing machine offers a function of one-step automatic buttonhole creation that takes only one second. With this model your garments will be of high quality and tailoring won't take much time. Though it is recommended to use fine fabric, natural and synthetic fibers and knits. 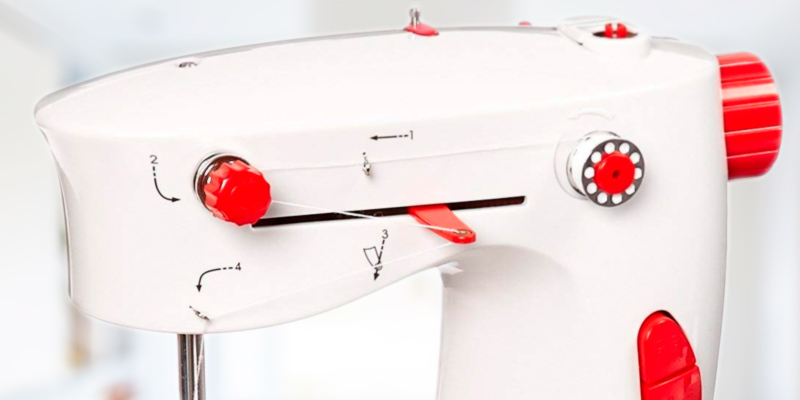 This sewing machine comes with a horizontal shuttle and features a top load drop-in bobbin system. 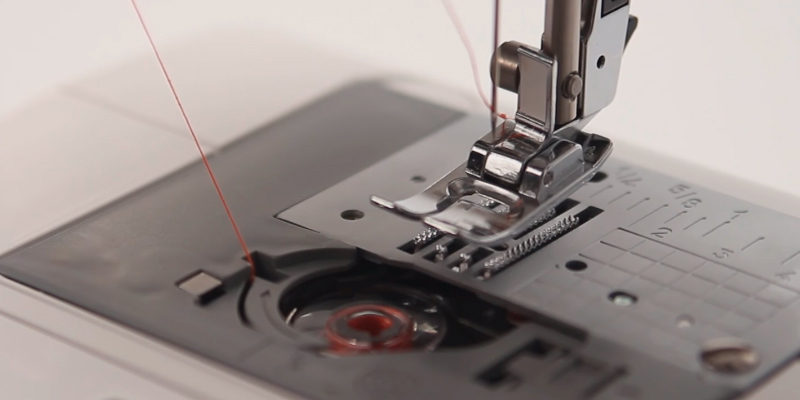 This system lets you thread a sewing machine easily and quickly. An automatic needle threader also shortens the preparatory works. Moreover, owing to a clear view cover on this sewing machine you can easily see the quantity of thread on a bobbin. So, you will never face a problem of a running thread in the middle of a stitch. 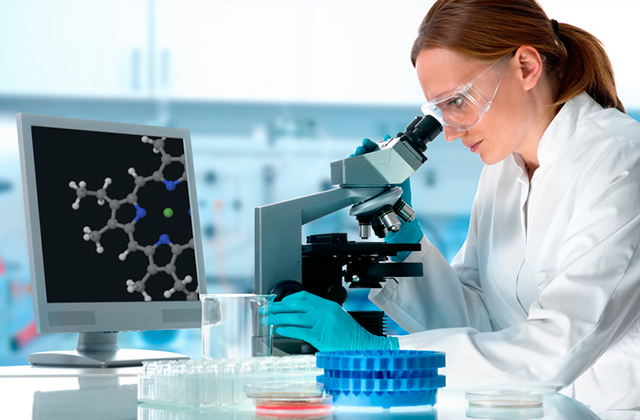 Brother is a user-friendly and easy-to-use device that ensures efficient operation. Brother sewing machine offers a wide variety of additional features, adjustments and accessories that help you tailor high-quality garments. 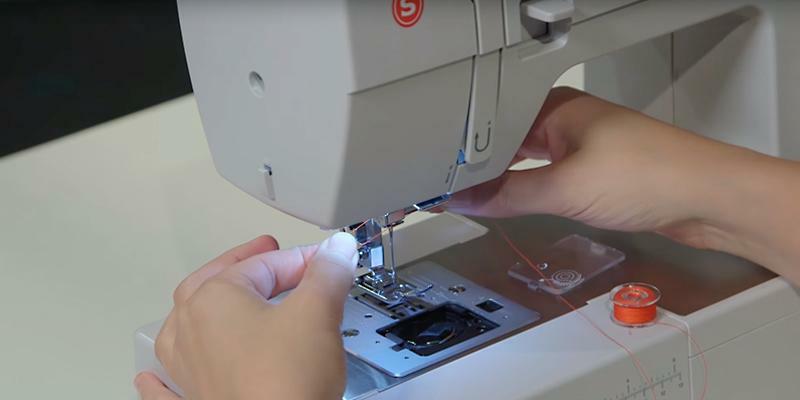 With the proper adjustment of thread tension and stitch length you can create durable and perfect stitches and ensure long-term wear of your mended garments. 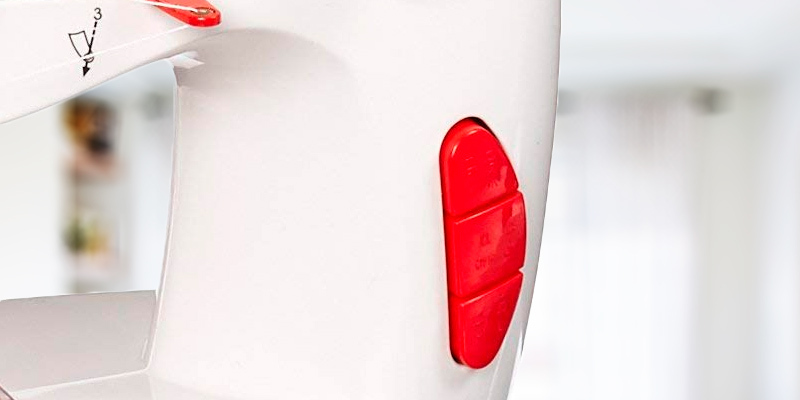 Moreover, this machine comes with 5 presser feet for different purposes. 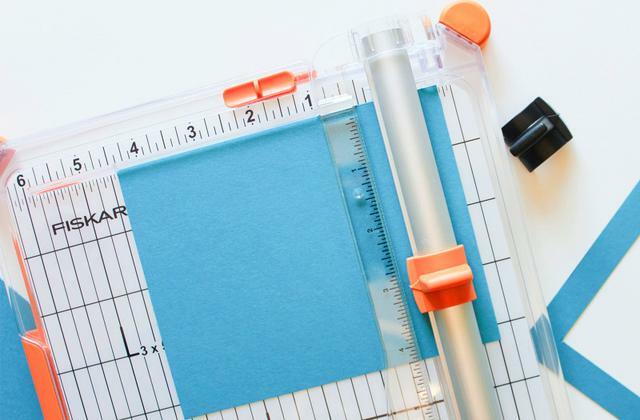 So, you can easily create buttonholes, sew on buttons and a zipper. And what is more important, Brother is the only sewing machine in our review that comes with a narrow hemmer foot. This foot allows you to bind an edge of cloth, so you do not need to buy an overlock sewing machine. Dyno is the best sewing machine for beginners because it offers only necessary operation functions. This machine has only an ordinary straight stitch and a manual buttonhole creation style. The sewing speed is about 200 stitches per minute which is surely enough for a novice. With Dyno sewing machine it might be hard to create a masterpiece but for most mending jobs it's more than allright. This machine efficiently works with natural fibers. 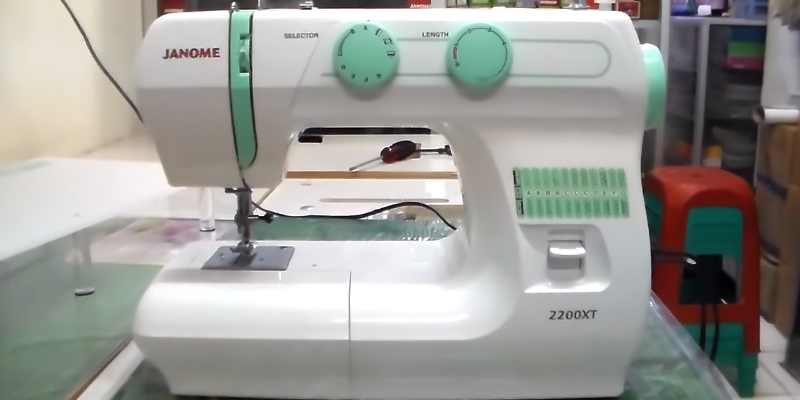 So, if you are taking classes in sewing, you can easily start with this machine. 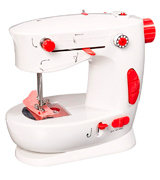 Owing to a horizontal shuttle, this sewing machine can be a perfect choice of a novice seamstress. 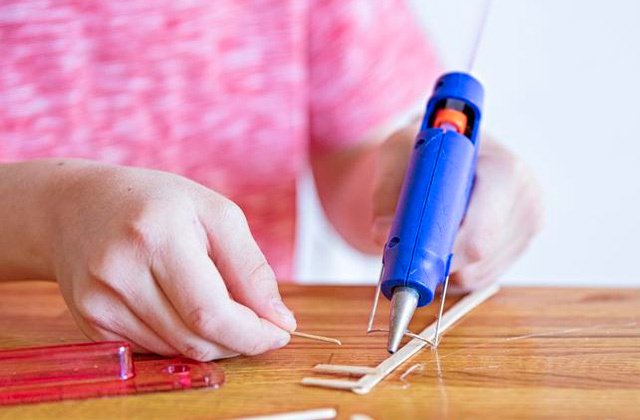 Simple construction together with a step by step manual will let even a child make his or her first mending jobs. 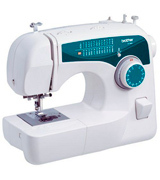 Dyno 25001 is not that type of a sewing machine that could be used for hand tailoring, but for small mending and sewing jobs, it’s a reasonable and affordable choice. 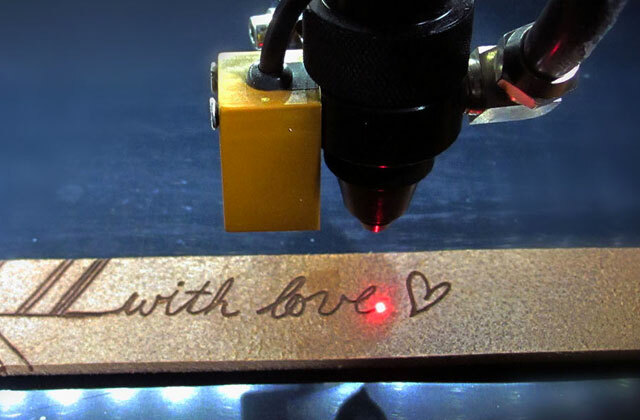 The machine comes pre-threaded, so you’ve got very little to do when yank it out of the box. 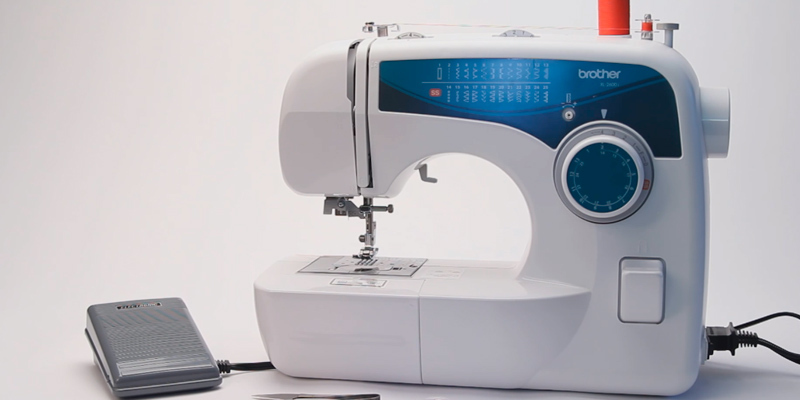 Being battery-operated, this sewing machine offers portability and extra convenience in use. You can place it literally anywhere and comfortably sew. The unit is very lightweight, hence moving it around is going to be easy and quick. Dyno 25001 lacks adjustments and accessories that of more expensive, professional sewing machines, but it’s just a different class sewing machine. It comes with an all-purpose foot, has a reverse stitch and adjustable stitch length - all the basic features a beginner would need. Sewing machines were invented in the late 19th century and since then rung up the efficiency and productivity of the clothing industry worldwide. Operation of those machines required considerable efforts while the end products still missed the desired quality. Today, a sewing machine has become not only the first assistant of any woman, but also an easy-to-use and straightforward device. Modern sewing machines are engineered with a built-in motor, thereby simplifying and speeding up a working process on the whole. Having got a proper sewing machine, you may tailor garments for yourself or for sale and with additional features and different stitch patterns, you can take an innovating approach in sewing. 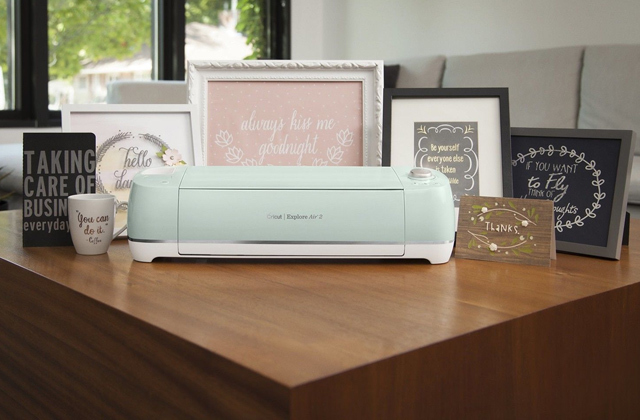 If you're fond of sewing and handiwork, you may also benefit of reading our review of overlock machines, as well as scrapbooking cutting machines and get a solid device for creating prints on your clothes. Before you decide on any particular model of sewing machine, you should firstly determine what for you are going to use it. And, in accordance with your requests, you can choose a device with suitable sewing capabilities. If you are a beginner or just about mending clothing, you don't need a computerized marvel. It would be enough to purchase an ordinary sewing machine that offers only several stitches. 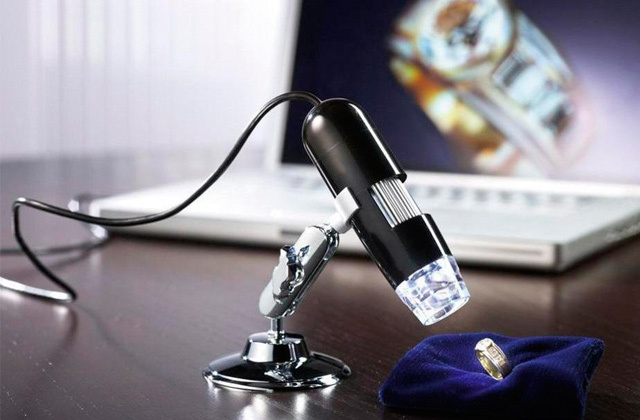 However, if you are a qualified tailor, it is doubtless that you need to opt for a heavy-duty multifunctional device. Professional sewing machines offer up to 25 built-in stitches for different types of fabrics and clothes. For example, some models feature stretch stitches that are perfect for sewing stretch and elastic fabrics and don't make them ravel. So, it is obvious that the more features a sewing machine has the more capabilities it provides. This also directly affects the price. Professional sewing machines are usually more costly than that with basic functionality.